Medication errors continue to occur at an alarming rate and impact all patient demographics. Usually, when the medication error occurs during an admission to a nursing home or hospital, the errors result from physicians prescribing the wrong medication or wrong dosage or a staff member at the facility making an error in the drug’s administration. Rosenfeld Injury Lawyers LLC helps individuals and families who have suffered an injury due to a medication error in Chicago. Our medication error lawyers are fully committed to investigating and prosecuting the errors made by medical professionals and holding them fully accountable under Illinois law. Contact our law firm now for a free assessment of your Illinois medication error case. 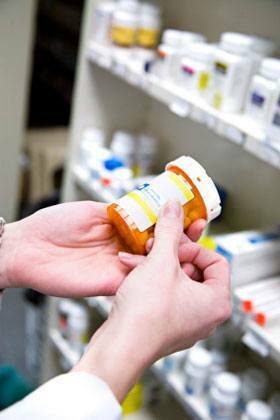 any preventable event that may cause or lead to inappropriate medication use or patient harm while the medication is in the control of the health care professional, patient, or consumer…related to professional practice, health care products, procedures, and systems, including prescribing; order communication; product labeling, packaging, and nomenclature; compounding; dispensing; distribution; administration; education; monitoring; and use. After discovery of a medication error that results in patient injury or death, it is important to trace the error to its source, as the laws that apply to different circumstances (physician or facility staff) may significantly impact the outcome. How Prevalent are Medication Errors at Medical Facilities? Many of these errors can be prevented through the use of computerized monitoring systems. According to the Agency of Healthcare Research and Quality, up to 95% of ADE can be prevented by using computerized monitoring to reduce medication errors. Unfortunately, due to under-staffing, insufficient training or lax policies, many medication errors may be overlooked or misdiagnosed by nursing home staff. If the medication continues to be administered despite an adverse reaction, the consequences for the patient can be deadly. In a study at the Brigham and Women’s Hospital in Boston showed that 9.7% of non-operative ADE’s in their research caused permanent disability. Sometimes there may be multiple reasons why a medication error occurred. The Chicago medical malpractice attorneys at Rosenfeld Injury Lawyers LLC will investigate all potential claims and will keep you advised of your potential legal rights. In order to begin the investigative process, please fill out our contact form or call our office to speak to a medication error lawyer immediately. For additional information about pharmacy errors look here.